Loves the all things that related to construction? 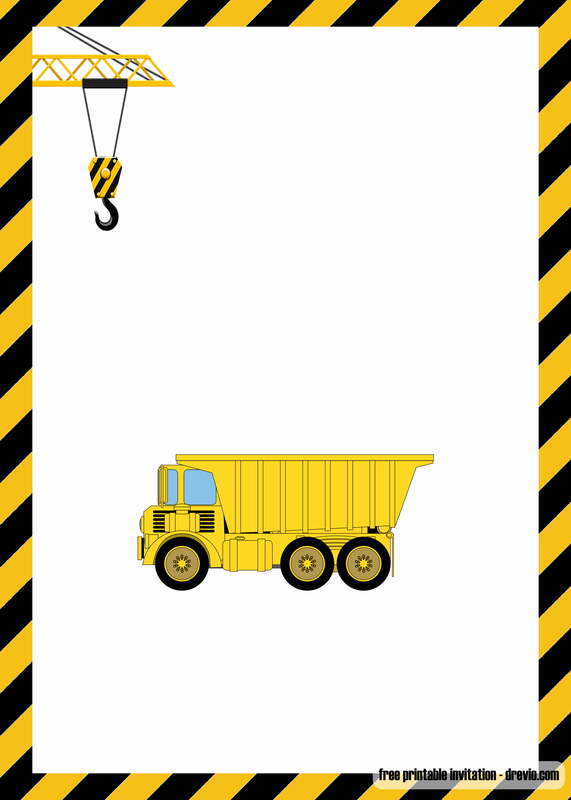 Dump truck? backhoe? 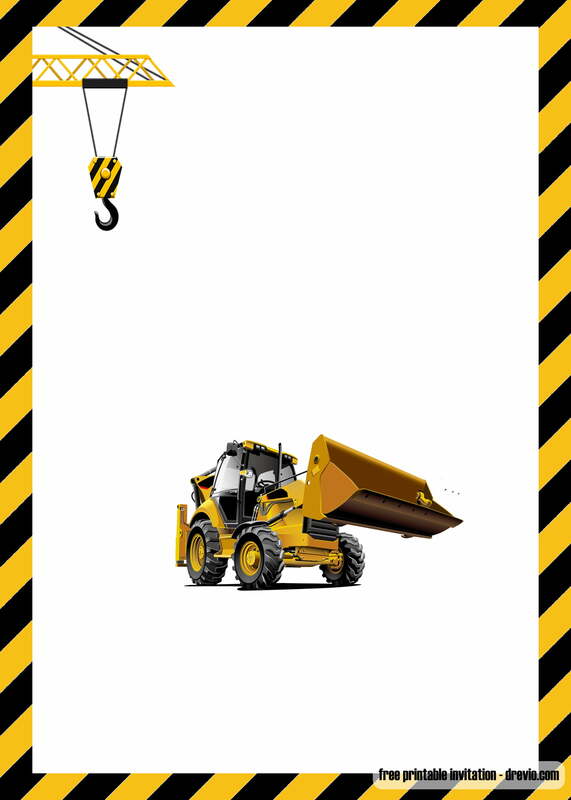 or even Bulldozer? 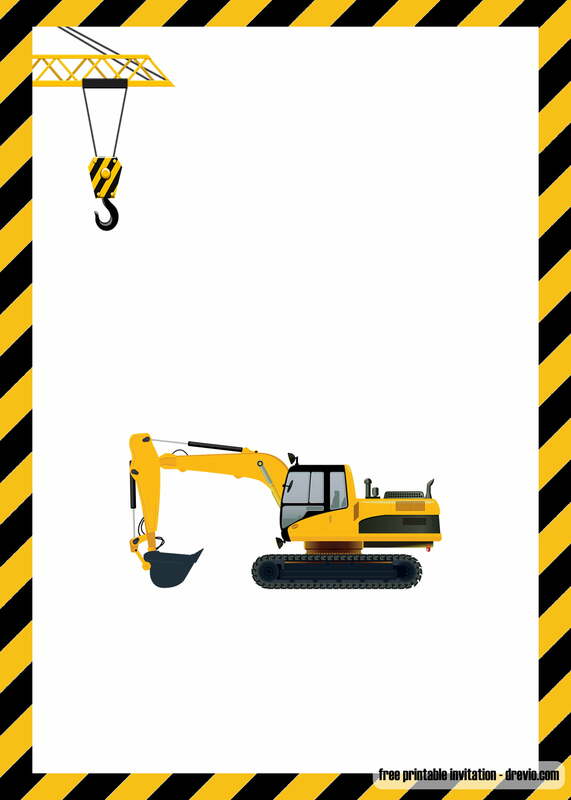 Perfect for boys that loved all constructions part would love to celebrate their next party with our free printable construction invitation templates. 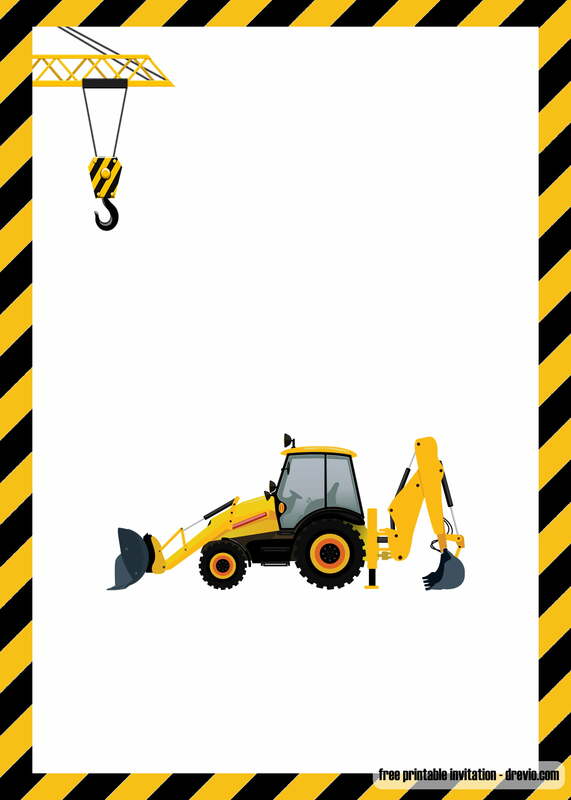 Before we continue, we want to remind you that we have another free construction party invitation templates too! Feel free to browse it here. ALl invitations comes in JPG version where you can open it almost in any device, from computer, PC , Tablet, iPad and even your phone. Comes with blank space where you can easily fill it with your own words. Edit it easily using image processing software. If you use phone, you can download image editing app on Play Store or Appstore for iPhone. If you’re using PC, you can use Photoshop or simply Go to Drevio Canvas (canvas.drevio.com/start/) to edit the invitation. Or if you’re not that techie-guy, you can simply print the invitation first, then write down your party details by using a pen or a marker. Let’s make it simple! Noah’s Birthday is under Construction! STOP THE TRAFFIC! CLOSE THE ROAD! When you’re done filling the invitation, you can go to your nearest printshop and print the invitation. Always use cardstock paper where you can buy it from Amazon. Cardstock paper is one of the best choice for you to use. It brings authentic, glossy finish and premium feeling to the invitation. 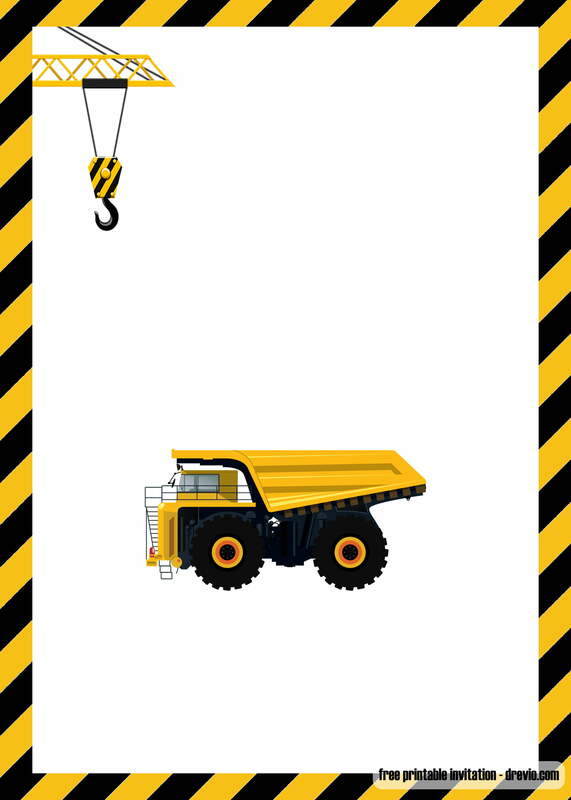 If you love our construction birthday party templates, feel free to share it with your friends.